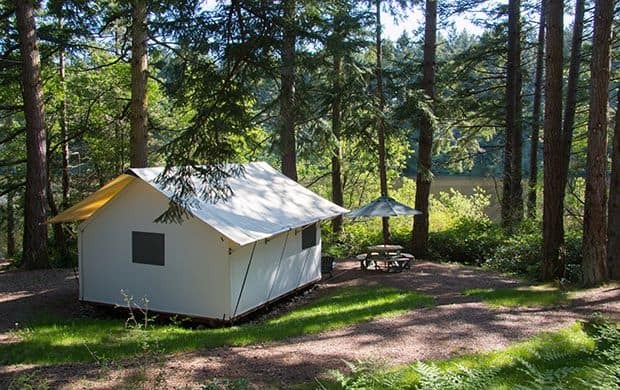 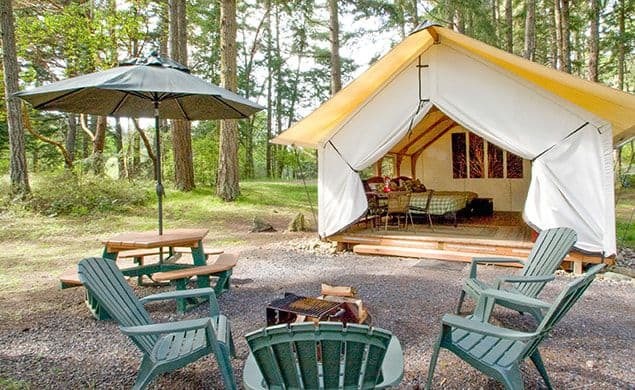 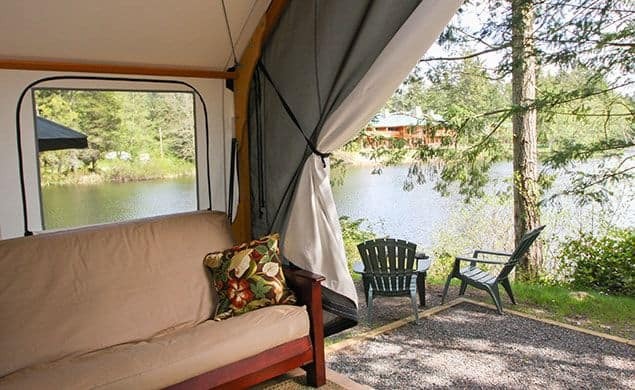 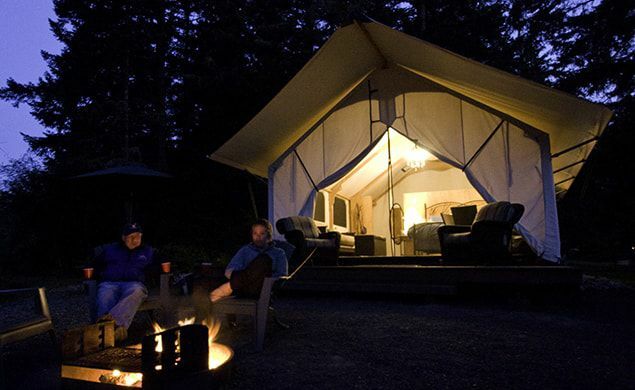 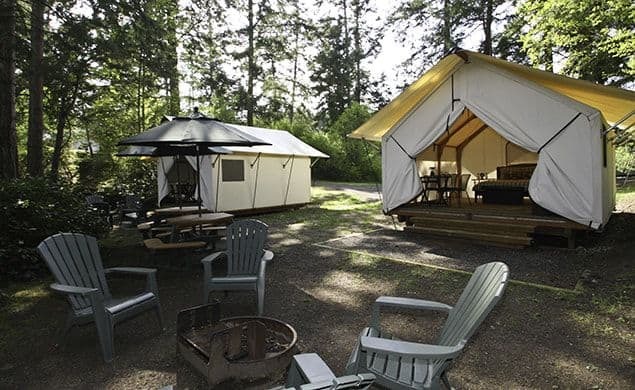 Experience the outdoors in style in the comfort of our Canvas Village. 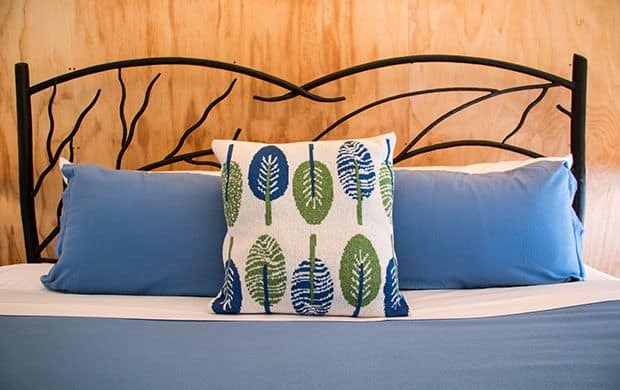 Our new Canvas Cottages will spoil you with a king-size pillow top bed, daybed sofa that extends to a king-size sleeper for extra friends and kids, your own bathroom including shower, toilet and sink as well as our signature Toasty Toes turn-down service! 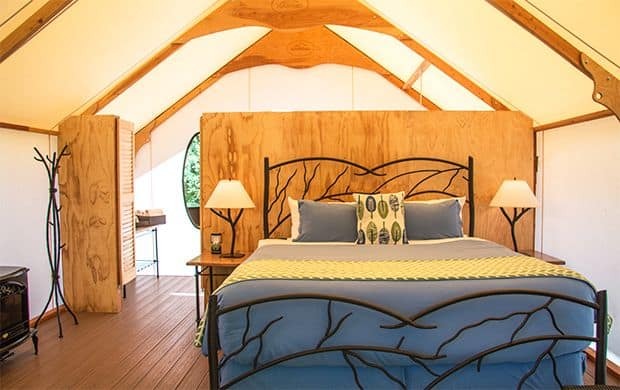 Our Canvas Cabins boast queen-size beds, futons, and all the amenities of a modern hotel, as well as Toasty Toes (a hot water bottle turndown service to keep your toes toasty all night). 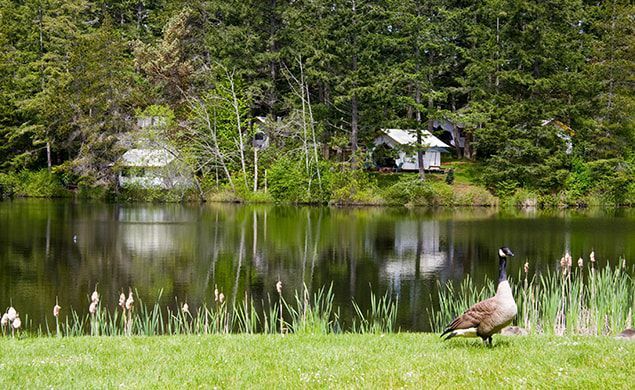 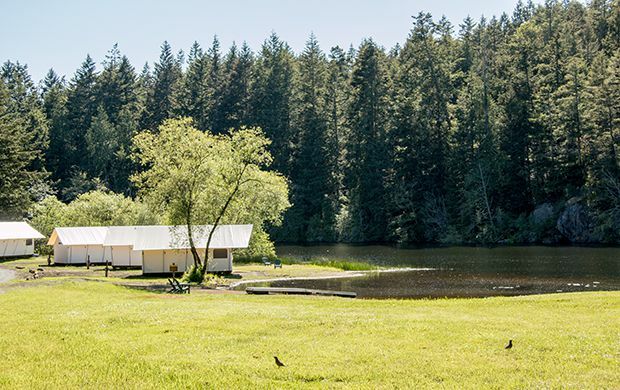 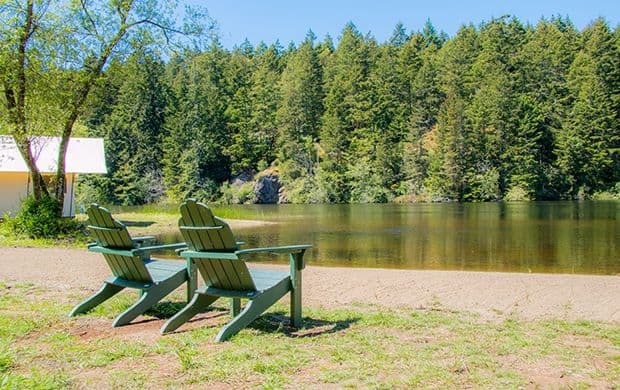 There are no pets allowed in the Canvas Cabins and Canvas Cottages, but we welcome your and your furry friends in our Log Cabins and Lake House! 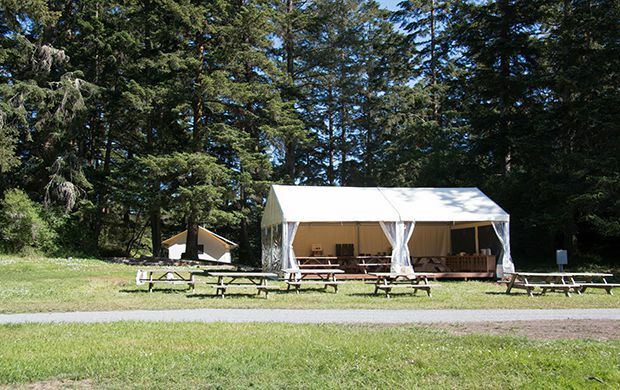 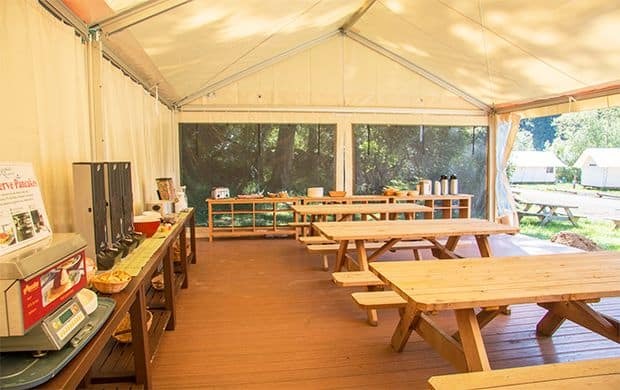 All Canvas Village guests receive a delicious and complimentary continental breakfast in our new mess tent overlooking Neva Lake. 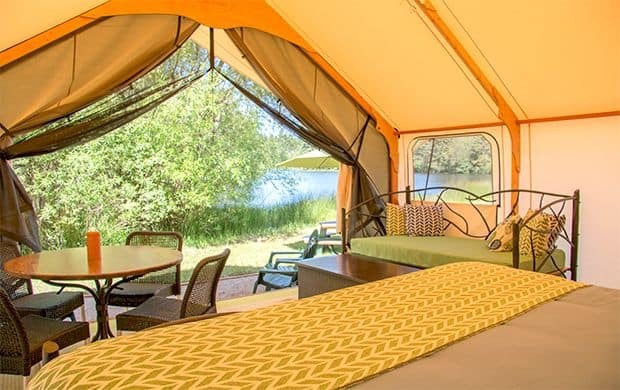 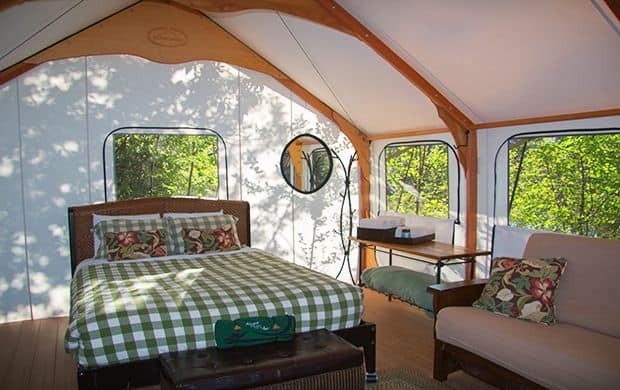 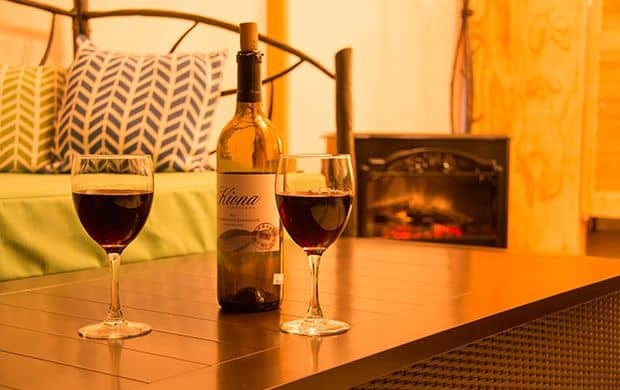 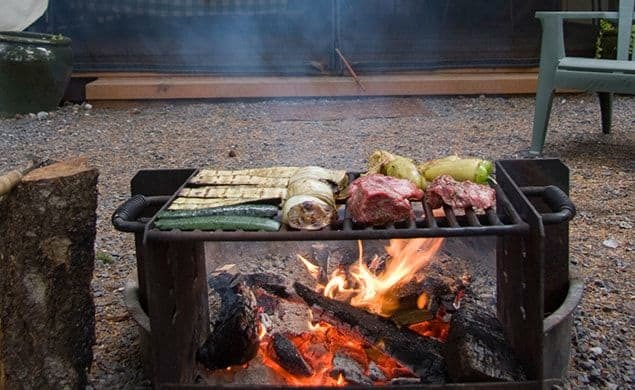 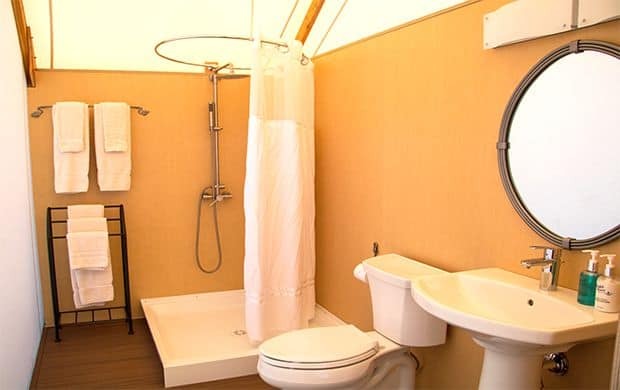 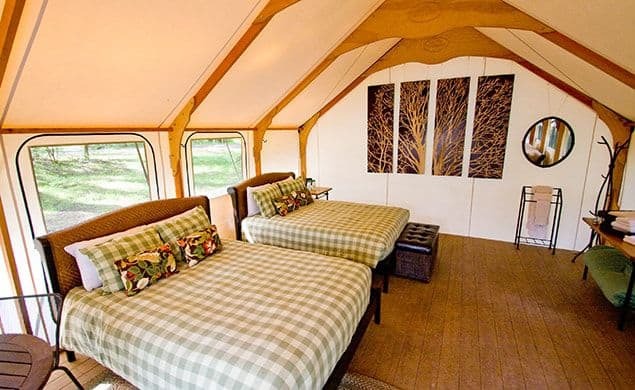 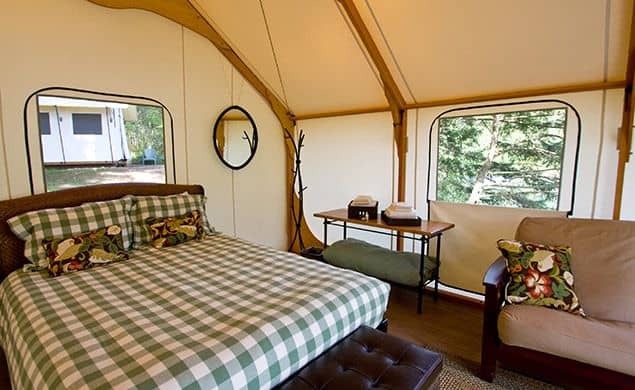 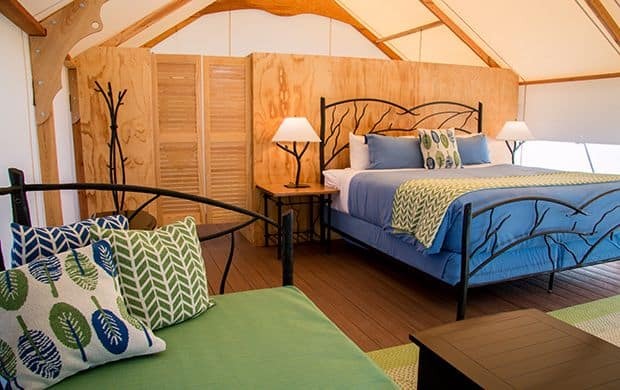 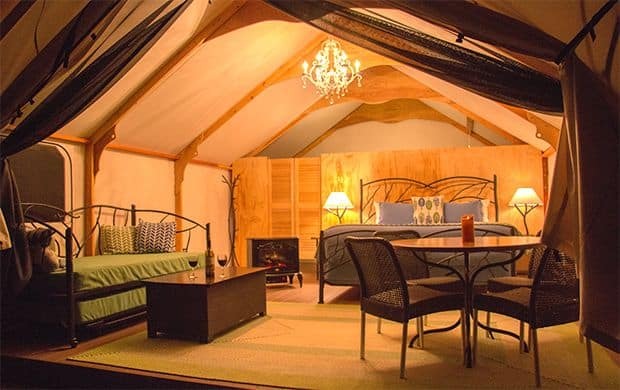 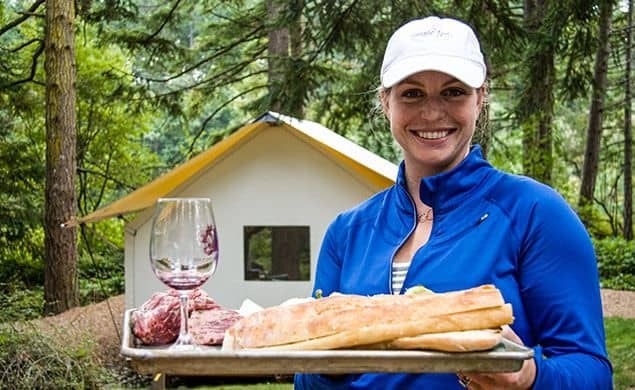 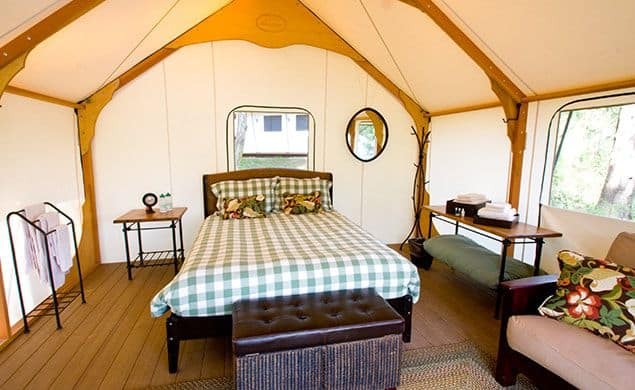 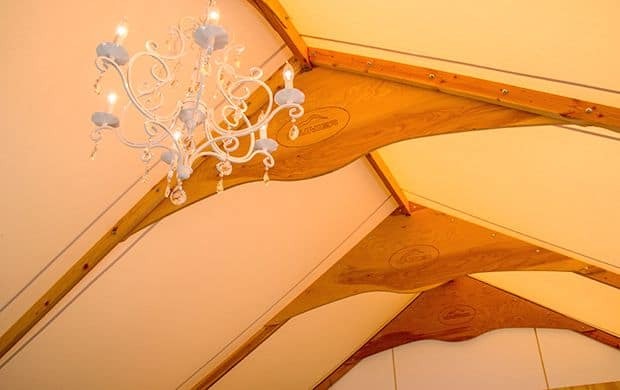 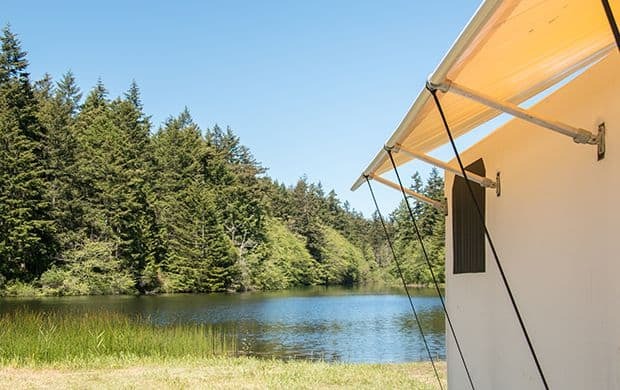 Learn more about glamping in our canvas cabins or make a reservation.